Magic London carpet cleaners in Covent Garden WC2 receives continuous training and are certified in the field of carpet cleaning, rug and upholstery cleaning. No job is too big, small or difficult for them to handle because they are well aware of the newest standards within the industry. Our specialists’ carpet cleaners are equipped to tackle any type of stain and dirt using the most eco- friendly products. Whatever your carpet cleaning needs, you can find the best service available at Magic London Carpet Cleaners in Covent Garden WC2. We are on the job, the minute you call and we are available 24/7. 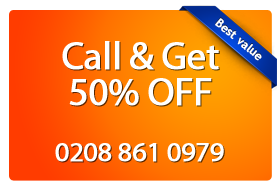 When you need carpet cleaning services call on Magic London Carpet Cleaners Covent Garden WC2.